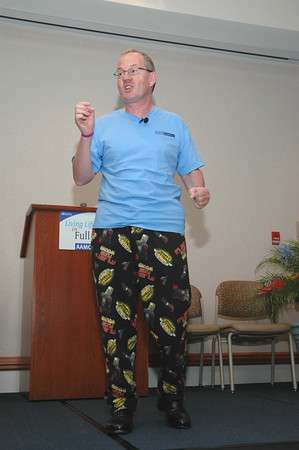 Motivational Speaker for Nurses Week – Humorous, Inspirational and Irish ! Seeking a Motivational Speaker for Nurses Week, one that will leave you with a smile on the face, a spring in the step and memorable takeaways to bring back to the workplace? PHONE Conor Cunneen IrishmanSpeaks at 630 718 1643 to book your next event. Conor Cunneen through the Gift of GAB, Irish wit, wisdom as a two time cancer survivor and as a gifted inspirational speaker, had them laughing for joy and longing for more. We highly recommend Conor to inspire, delight, educate and entertain your organization regardless of the type of audience. Conor, I want to thank you very much for providing your excellent presentation at our event on Sunday. You were a hit with the audience!! I knew you would be. Based on the comments and evaluations, our guests felt the program was OUTSTANDING!!! We had about 175 turned in at the event. At first glance at the evaluation scores, about 95% rated the program a “5 – excellent’. PHONE Conor Cunneen – IrishmanSpeaks at 630 718 1643 to book your next event. Conor flies from Chicago. If you prefer, you may connect with this humorous, motivational keynote speaker via this form. Conor is a multiple author who has worked in Ireland, UK and USA. Conor is a Chicago Humorous Speaker of the Year. PHONE Conor Cunneen – IrishmanSpeaks at 630 718 1643 to book your next event. Monty Python pajamas bearing the legend “It’s just a flesh wound” which I purchased for my prostate cancer surgery. Honest!